Join former MEDA staff member Marlin Hershey and his wife Barb for an introduction to some of the peoples, landscapes, and wildlife of Tanzania. Interact with Tanzanians at a local church and during visits to some NGOs. See elephants, wildebeest, zebras, giraffes, lions, cheetahs and other incredible African animals on game drives in three of the country’s best game parks. Arrive in Tanzania and transfer from Kilimanjaro airport to Marangu. There, enjoy dinner with your travel companions and hear an overview of the next ten days with your tour guides. Today, walk the narrow paths that lead to the Marangu waterfalls, and stop to admire the spectacular views along the way. Take some time to explore banana and coffee plantations, as well as the Chagga and Maasai Museum to learn about these Tanzanian cultures. Today, we make our way from Kilimanjaro to Tarangire National Park—named for the Tarangire River that crosses the park and waters the numerous wild animals living in the area. Notice the plentiful baobab trees on a nature walk. Pack your camera and your sense of wonder for a full-day game drive in Tarangire Park. See giraffes, zebras, wildebeest, lions, cheetahs, leopards and many other African animals. The park is celebrated for its high density of elephants. Prepare to be amazed as you go on a second game drive in Lake Manyara National Park—an area known for its flamingo, tree-climbing lions, ash lake and miles of breathtaking scenery. We’ll descend into the Ngorongoro Crater this morning for another safari. This UNESCO World Heritage site is the globe’s largest intact volcanic crater at 10 miles wide with 2,000 foot high walls. A dense population of large game shelters in the crater. 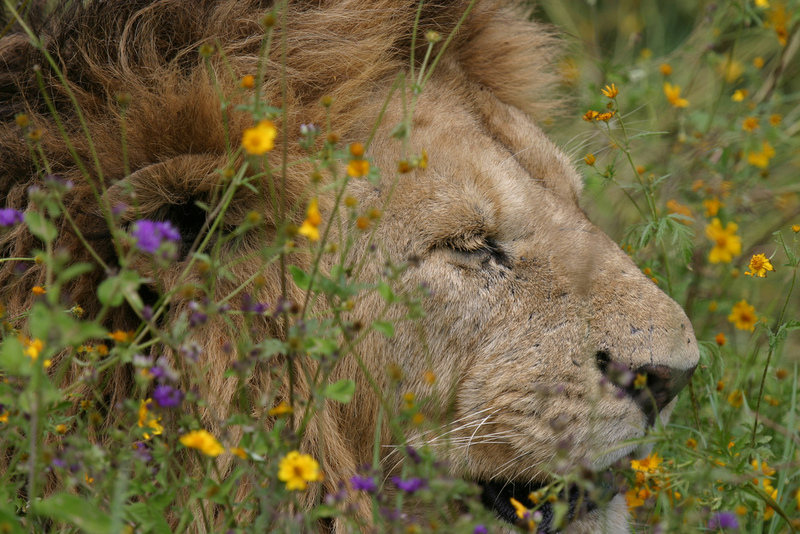 Expect to see cheetah, wildebeest, hyenas, lions and more. This is one of the most beautiful wildlife havens in the world containing an estimated 30,000 animals. Today, we’ll have a meaningful visit with nuns at the St. Catharine monastery where Christians are contributing to solutions for local people in need. In the afternoon, see the local school and stroll through the market. Visit Monduli village, where we meet with some locals who live in town and the leaders who run a special library project—the Cheche Community Library, started by a Canadian Mennonite, which benefits Maasai children. Then, make your way as a group to Arusha, a major international diplomatic hub of Tanzania. Attend a local Mennonite church service and visit Shanga Social Enterprise—a community project that employs people with disabilities to create high-quality décor, jewelry, and glassware from recycled materials. Spend your final day in Tanzania visiting micro-loan supported agricultural projects which are making a difference in the lives of local people. Transfer from Arusha to the Kilimanjaro airport and board your planes for home with new friends and hearts full of memories.